Deserie’s style has been described by many as “heartfelt” and “intense”. Her voice, just like her probing blue eyes, draw you in and fill you with emotion. She makes you feel as if she tooka snapshot of a moment in your life and wrote a song about it. Jim began writing songs in earnest in 1998 after many years of music industry experience supporting other artists. His lyrics – sometimes veiled, sometimes chillingly frank – are composed from the everyday subjects of life: the temptations of addiction, love and love lost, and the power of connection. 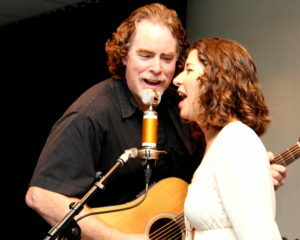 Together, Deserie & Jim perform a unique blend of their own bluesy, contemporary folk music. The expressive vocals and potent songwriting of this duo combined with their heart-warming harmonies create a comfortable connection with their audience.